Use TB5BHF4 to reference this item. 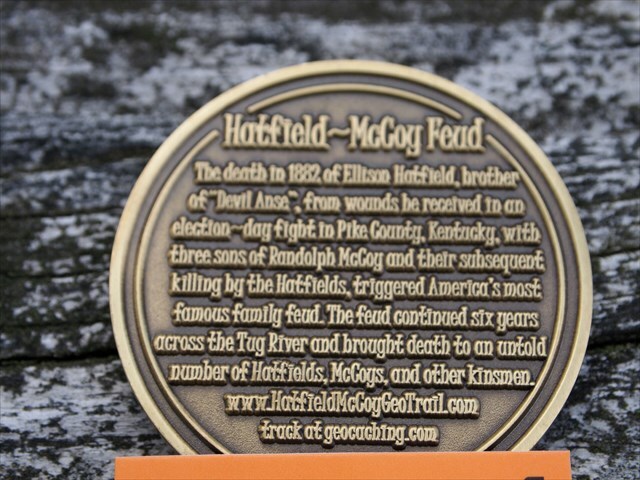 To travel from cache to cache as quickly as possible sharing the history of the Hatfield and McCoy Feud. Please sign the log in the back of the booklet if you move or discover the book. 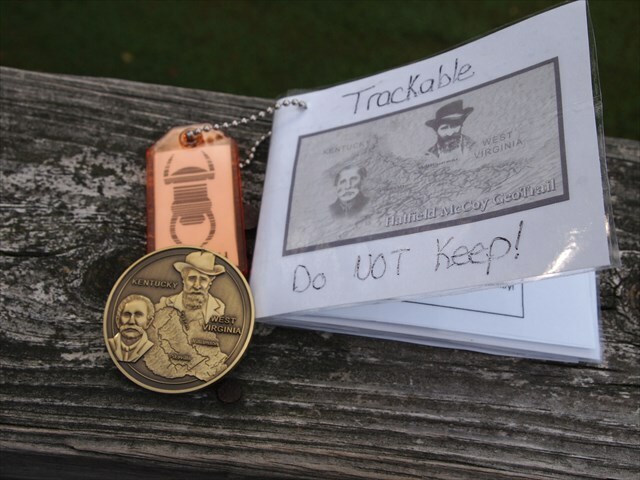 On September 1, 2012 RubyRedCachers ventured into the mountains of WV and KY and attended the 1st Hatfield McCoy Geo Trail event. 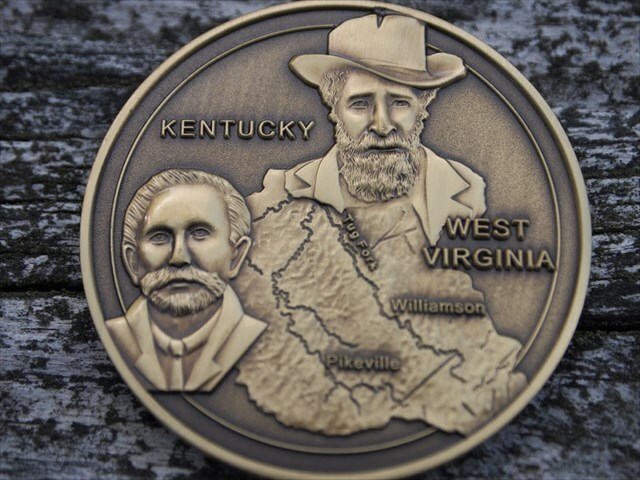 We had a blast and we earned this awesome coin for attending the event. 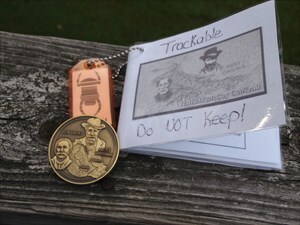 I wanted to share our adventure with others and promote awareness of the trail, but the coin is our very first and will always hold a special place in our collection. 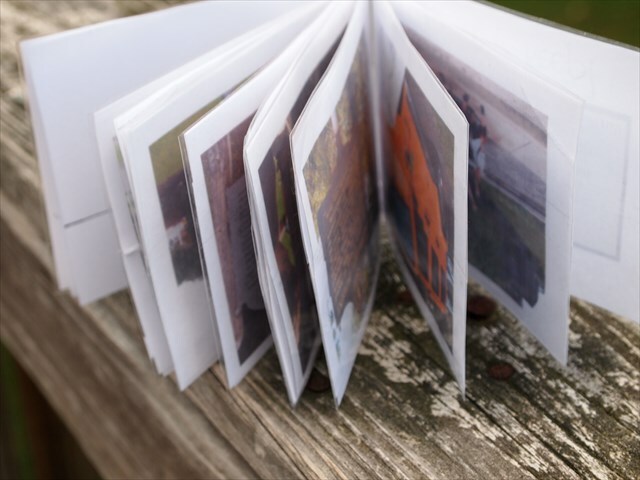 For that reason you will be moving a proxy tagged photo book of that weekend. We hope you enjoy this little glimpse into the amazingly fun weekend that we had. Perhaps this will also spark your interest enough to plan your own trip into coal country to have your own adventure along the trail. Front of the real coin. You are looking for the booklet. Appercu entre les mains de DND..
Grad in a TB Hotel in La Baie Québec. Discovered In TB Hotel de La Baie des HA! HA! Saw it in In TB Hotel de La Baie des HA! HA! in La Baie, Québec, Canada! Discovered it in La baie,Quebec.